Why is Don Kelly on this team? I did ask Dave Dombrowski that at the trade deadline. 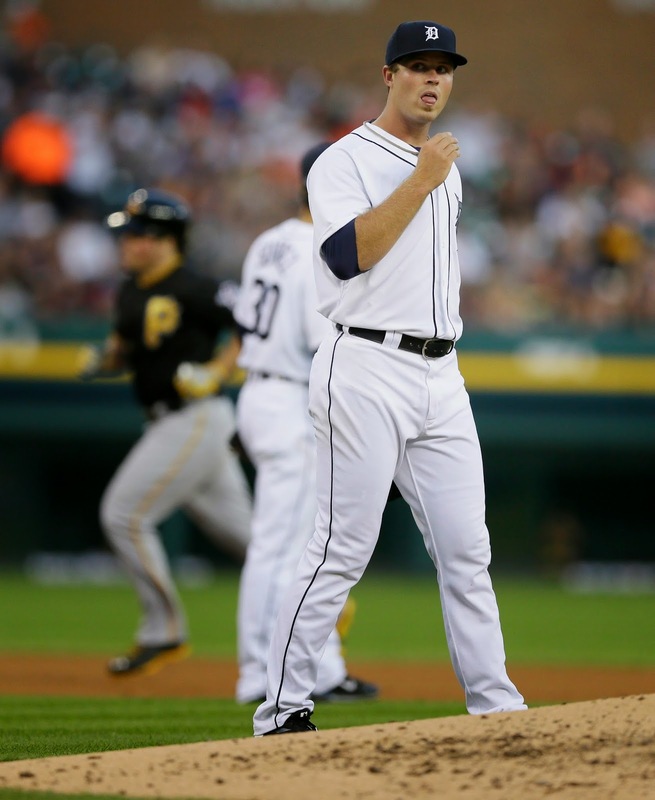 He said Brad Ausmus, like Jim Leyland, appreciates his versatility and wants him on the team. But versatility isn't worth that much without offensive production. I think the Tigers need much better offensively at the end of the bench. That double play ball hit by Kelly in the second was a rally killer. - Buck Farmer's numbers were misleading at Class A West Michigan from the standpoint he was year older than the average player in the league, and more experienced because of his college background. He was also limited to five innings per start. But he also did well in two starts at Double-A Erie, where he was younger than the average player at that level. What I like about the move is so-called "stuff" is what it is, regardless of level. Farmer has pretty good "staff." The issue is command, and not just walks, but location within the zone. It hasn't been that good. We'll see how he does second time around the Pirates' order. - Pirates center fielder Starling Marte with another example of why diving for a baseball isn't, usually, the right thing to do. Nick Castellanos has no complaints about. The result was a triple.